Boca Raton, FL – August 21, 2018 – Vendor Neutral™, which offers innovative programs for sales and marketing buyers to make sales technology purchasing decisions, today announced that its recently launched program to certify SalesTech vendors, called the Certified 100™, is off and running with the first ten vendors. “Every Vendor we’ve spoken with is excited about the potential to differentiate their solutions in a meaningful way. 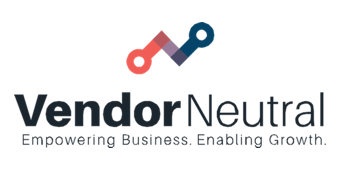 By under-going the certification process and joining the list of Certified solutions, it shows their dedication to transparency in the market-place,” says Dan Cilley, Co-Founder of Vendor Neutral. The certification process involves an in-depth questionnaire and review of more than 100 different data points including the vendor’s sales model, technical partnerships, industry focuses, buyer challenges solved, detailed capabilities, integrations, support, services, and more. Buyers will have free access to view the Vendor Neutral Certified Profile™ for vendors as they complete the process. Vendor Neutral provides a concierge service to buyers, helping them through the SalesTech selection process. With Certified Profiles™, Capability Gap Assessments, and more, Vendor Neutral can efficiently identify the right mix of vendors to help organizations Sell More, in Less time, at the Right Price, with Lower Costs. Vendor Neutral’s primary focus is to provide objective recommendations and clarity that clients know they can rely on. Within 30-60 days, Vendor Neutral’s sensible advice can put SalesTech buyer’s on a fast path to revenue growth.